As you become more involved in playing the guitar, you’ll notice that the default equipment you used in the beginning simply doesn’t cut it anymore when you want to pull off some trickier riffs, or perhaps you just want to have a better sense of style surrounding you. Whatever the reason, you can always benefit from shopping around for some high-quality guitar accessories – here are some ideas of what to look for, and how to find good enough products of each type. 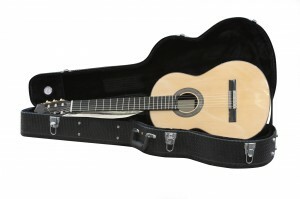 The guitar case is one of the most crucial guitar accessories, though most beginners don’t pay so much attention to it. When you start learning the more intricate aspects of playing the guitar, you’ll also start carrying various extra tools and items around with you, as well as music books with your favorite songs, etc. A good guitar case will have a durable build on the outside, and lots of pockets and compartments for storing your accessories. Some prefer soft-shell casings for their small weight and easy portability – but if you don’t mind the little extra weight, we’d definitely advise you to go with a harder case to add more protection. 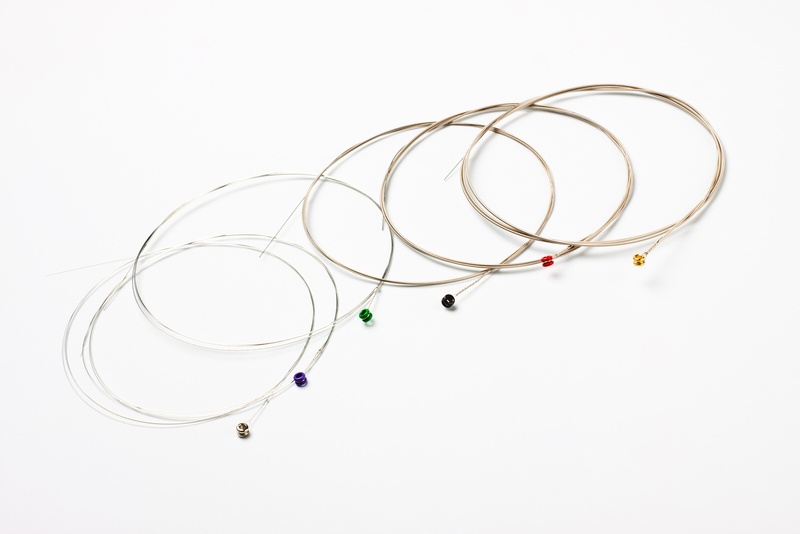 Among the things you can carry around with you in your guitar case should be a pack of strings – guitar strings aren’t permanent, and they’re actually the elements in your guitar that are most prone to breaking. You should always keep a spare set handy so that you’re never left in an annoying situation where a single missing string is preventing you from pulling off that piece nicely. 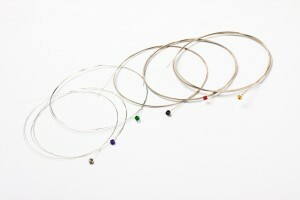 Of course, electric guitars require their own special strings so look for those accordingly. A gadget that can make changing guitar strings easier, you should consider looking into a string winder – this is an device which is attached to the end of the guitar tuner, turning its pegs mechanically so that you don’t have to spend your time doing that by hand. This may not be so handy to those who rarely find themselves changing strings on their guitars, but if you see lots of guitars passing through your hands (maybe your run a music shop, or perhaps you’re just popular among your friends for being skilled with the guitar), it’s a really good idea to get yourself a string winder. 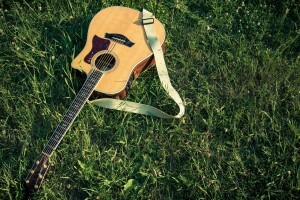 One other common guitar accessory which comes in great handy to experienced players is the guitar strap – you don’t always get a chance to play sitting down and if you want some proper support for your guitar while you’re playing it standing up, there’s nothing better than a high-grade guitar strap. A quality model will have extra padding on the shoulder to keep it from biting into you, which can relieve a great deal of the stress that comes along with wearing a guitar in this manner. Let’s not forget the picks – this is a traditionally inexpensive accessory – to the extent where it’s more common to buy them in bulk than separately. Of course, there are some exceptions but in these cases it’s a matter of rarity or some other similar value. 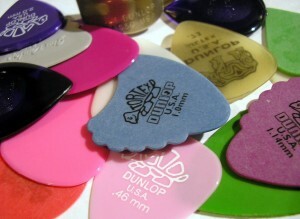 The most common sizes of plectrum packages are 6 and 12. The gauge of your picks a very important factor in the quality of your playing. A lot can be done with a guitar in terms of sound variety – but the more complex techniques require more specialized equipment. For example, having a guitar slide will allow you to produce a very particular sound, which you can easily vary by sliding the tool along the instrument. 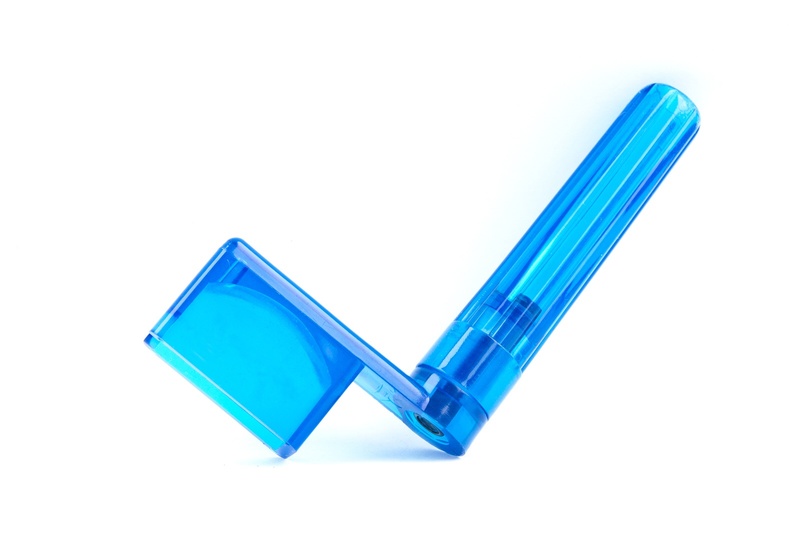 Slides are very popular in some particular styles such as rock, blues, country and Hawaiian, and some groups have even become famous for including them in their repertoire on a regular basis. One of the most problematic aspects of learning the guitar for most people is getting the timing right – and in most cases the problems boil down to incorrect technique. You can’t expect to learn this sort of thing by yourself, and you’ll need some specialized equipment for that. 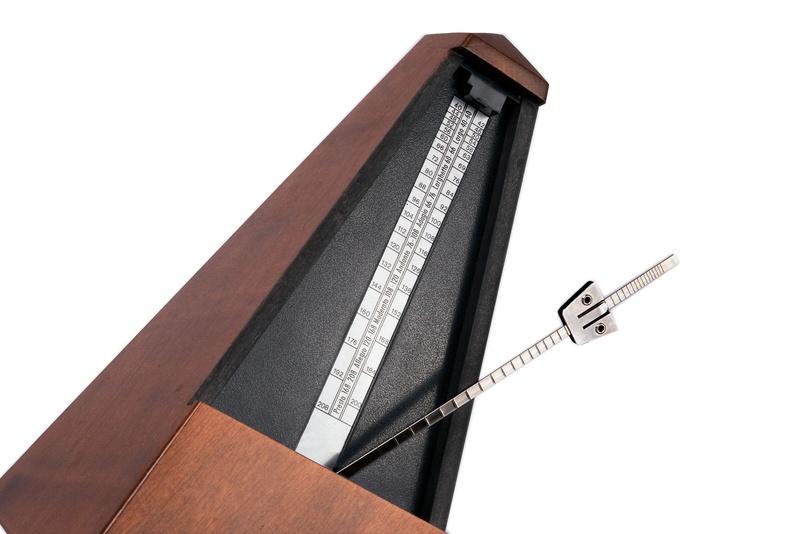 The best thing to get if you want to improve your timing skills is a metronome – if the name doesn’t ring any bells, don’t worry – you’ve surely seen one but just didn’t know. It’s a small device which involves a swinging pendulum, producing a characteristic “tick” sound every time it swings around. This is commonly set next to the student learning an instrument, to give them some accurate representation of time that they can adjust to. Modern metronomes are very advanced and include electronics to make their counting as precise as possible – but if you’re a fan of more traditional solutions, you have no reason not to get an older metronome, which will still offer you the same benefits – just delivered in a simpler manner. 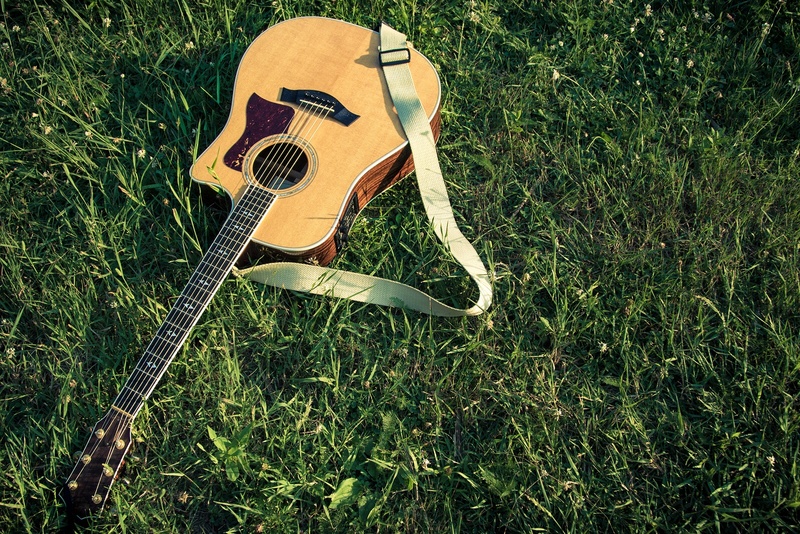 You probably have more than a few music books in your backpack (or guitar case) – various songs you enjoy playing from time to time, or simply practicing on them. 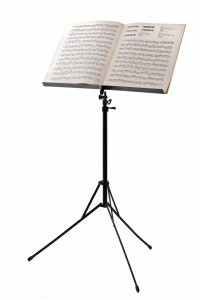 However, you can’t always rely on having some place to put your music sheets – thus, you should prepare yourself accordingly by investing in a music stand. 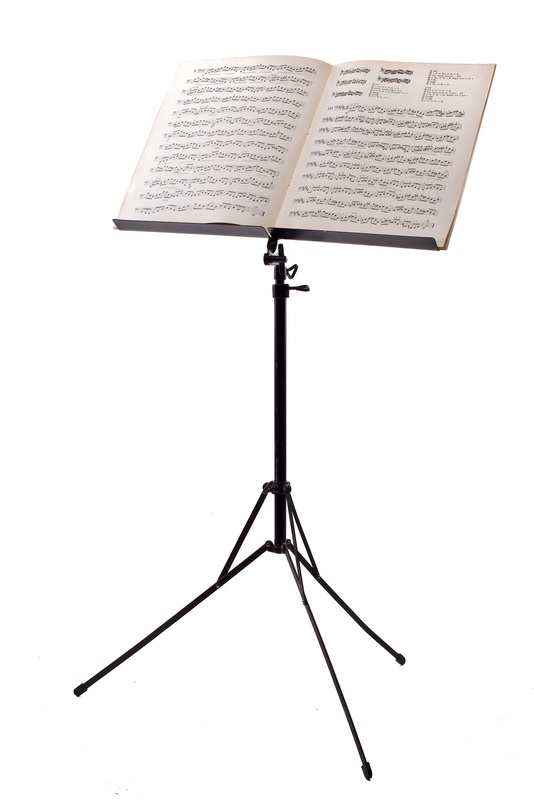 This is a simple device which is used to secure your sheet music in place, allowing you to vary the height and optionally angle of placement, so that you can easily read your notes while playing.